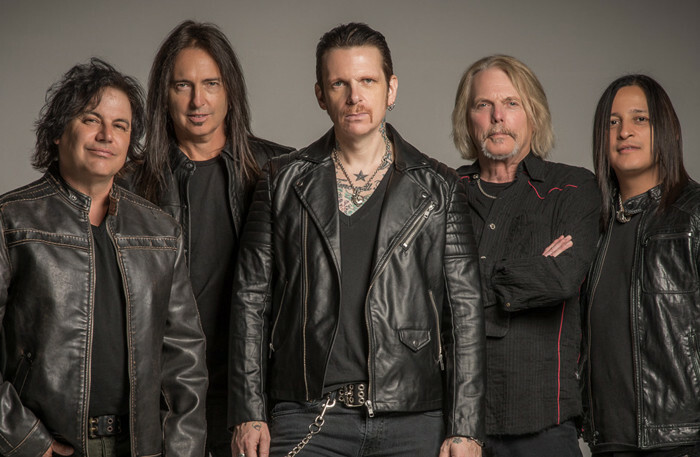 “In a mutual decision, Black Star Riders and drummer Jimmy DeGrasso have decided to part ways,” said the group via social media. “The band wish him well in his future endeavours and thank him for the great albums, killer shows and good times together. The veteran rocker – who has worked with Y&T, Alice Cooper, Megadeth and David Lee Roth, among others – joined Black Star Riders in 2012 after they finished touring as Thin Lizzy and prepared to relaunch under a new name. DeGrasso recently played shows with the reformed Ratt lineup in place of former member Bobby Blotzer, and his status with the group moving forward remains unknown at this time. Recorded just outside Nashville, TN with producer Nick Raskulinecz (Rush, The Foo Fighters, Mastodon) in 2016, Black Star Riders issued their third album, “Heavy Fire”, in February. The band will launch a summer European Tour in Dusseldorf, Germany on May 24.